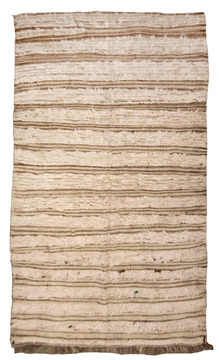 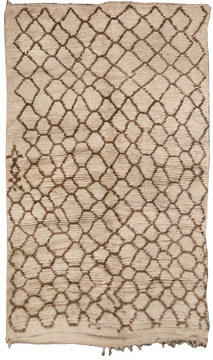 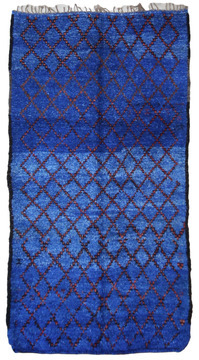 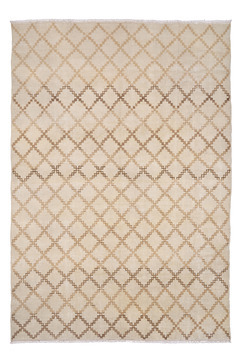 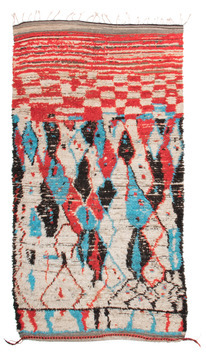 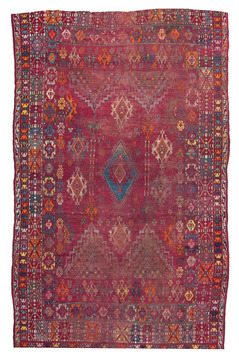 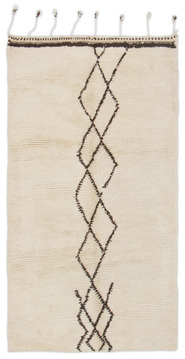 A Moroccan Rug of striking simplicity. 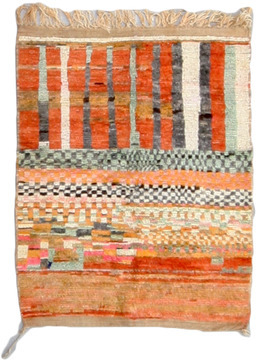 Black, brown, light brown and pale amber predominate. 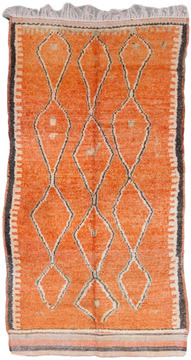 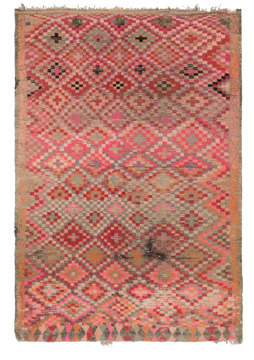 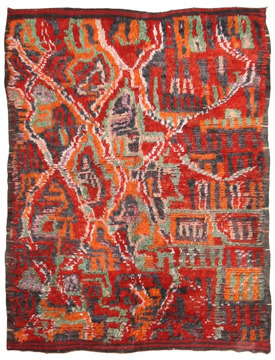 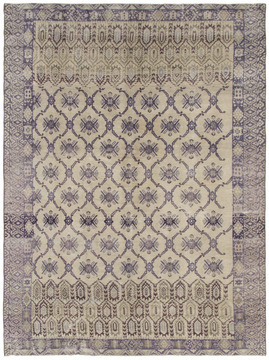 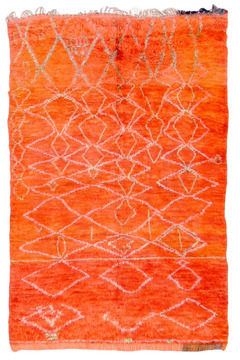 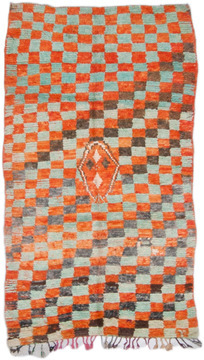 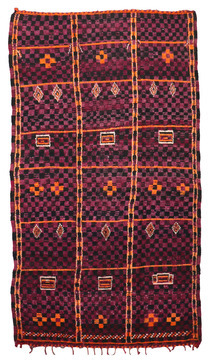 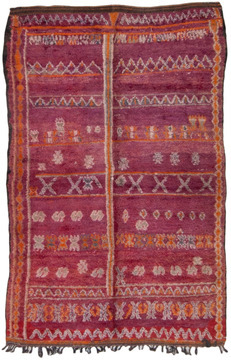 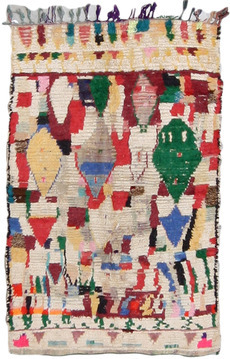 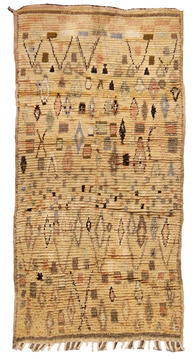 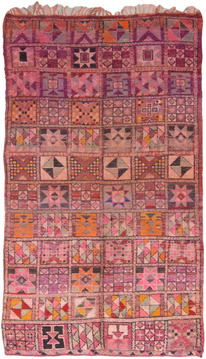 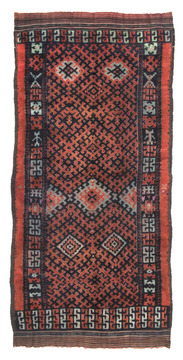 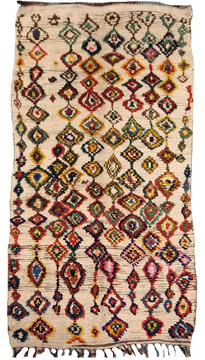 The rug displays a variety of diagonal patterns and small emblems in a plain field.